Who knew that bread was such an artistic craft! I didn't even realize what went into making these specialty breads. I am amazed with the resource this novel is in the art of bread making. I must admit I had to purchase some unique breads once I started reading this book, and munch on them while reading. The description of the bread shop is so distinct you can almost smell the breads Liesl is making! I love when a book can bring your senses fully into the story. 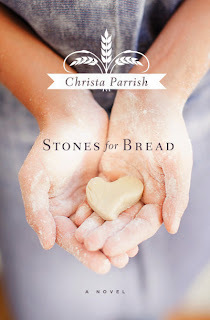 Wow, Christa Parrish was able to not only tug at your heart through Liesl's story but to awaken your senses! This book was fantastic at using allogory's to bread and comparing the process to life.